BBM did a whopping 50 sets in 2013, although in some ways what stands out this past year is what they didn't do for the first time ever. I believe that this is the most sets BBM has done in one year, but I could be wrong. The 2013 sets were released over a 14 month period starting in November of 2012 and finishing up early in December of 2013. 22 of the sets BBM released this past year were the 2013 edition of sets that BBM produces each year - the "flagship" sets of 1st and 2nd Version as well as the Genesis high end set, the individual pack based sets for each of the 12 NPB teams, the "Farewell" box set commemorating players who retired at the end of the previous season, the "Rookie Edition" set featuring the players taken in the previous fall's draft, the box set for the Tokyo Big Six collegiate league, the "Rookie Edition Premium" box set featuring high end cards for the year's top rookies, the "Historic Collection" set (this year's theme was "Great Uniform Numbers") and the two pack based sets for the cheer/dance squads for teams - Hana and Mai. 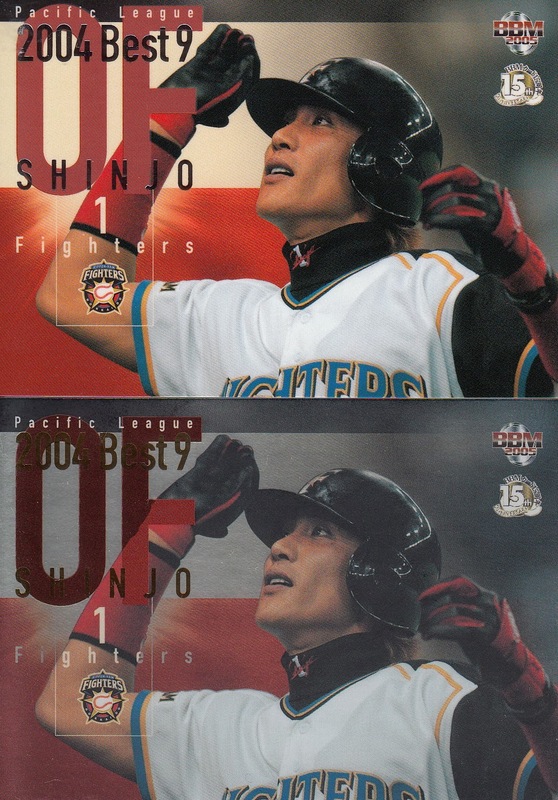 Missing from this year's releases, however, were the annual All Star and Nippon Series box sets that BBM had done each year since 1991, their first year producing cards. In addition, BBM did not do a box set for the Premium Malts old timer game held in July - they had done so for the three previous games. BBM issued five box sets that were team-specific. The Young Fighters, Young Lions and Young Tigers sets all (obviously) highlighted the young players from each of those teams. 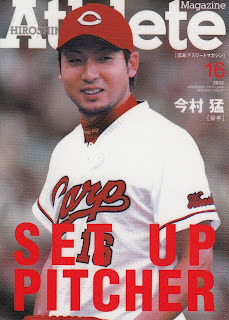 The "Yui Carp" set was a simple but small (only 18 base cards) team set. The Eagles First Crown set was purportedly to celebrate the Eagles winning the Pacific League pennant for the first time but it's really just a straight team set - there are no "highlight" cards or anything that actually show the team clinching. BBM also issued five "single player" box sets. Four of these were to celebrate players who retired in 2013 (or in one case, late in 2012) - Hideki Matsui, Shinya Miyamoto, Shinjiro Hiyama and Tomonori Maeda. 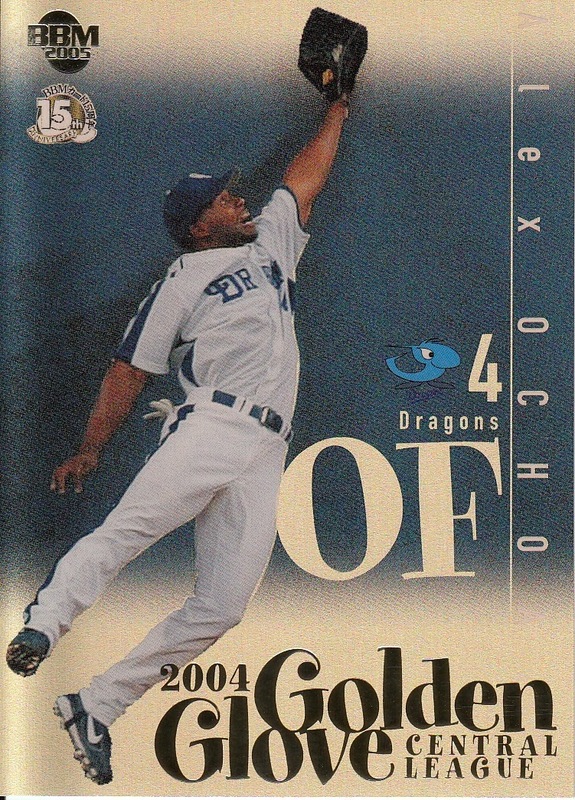 (The Miyamoto set is also kinda-sorta a Swallows team box set.) 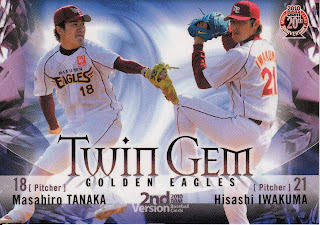 The other "single player" box set was called "Legend Of Invincibility" and celebrated Masahiro Tanaka's 24-0 season - the set features a card for each of his wins during the season. Where BBM really took off this past year was in historic (OB) sets. After only doing three in 2012, BBM did a total of 14 this year (including the aforementioned "Great Numbers" "Historic Collection" set). 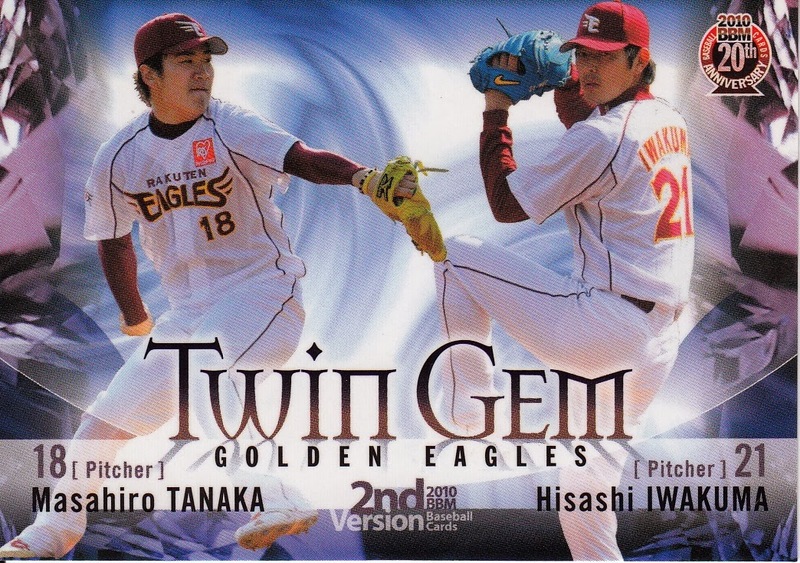 They did team based anniversary sets for the Hawks (75th), Baystars (20th as "Baystars") and Fighters (10th year in Hokkaido) as well as a box set for the Hawks celebrating their three Nippon Series championships in the 25 years they have been in Fukuoka. They also started a new series of team based OB sets called "Legend" - they issued a set for the Giants celebrating the players who had played in Shigeo Nagashima's two terms as manager and a set celebrating the players who played for the Tigers in the 1980's. They issued two sets featuring only "gaijin" players - "Legendary Foreigners" and "Deep Impact". 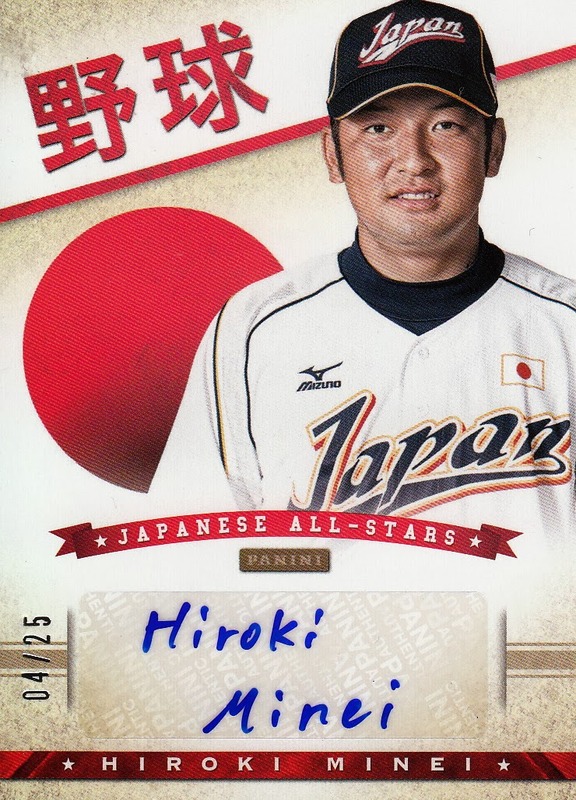 They used Yoshio Itoi's abrupt trade to Orix last spring as an excuse to produce a set featuring great trades in history (The Trade Stories) and did a set featuring great moments in All Star games in the 1980's (All Star Memories '80's). 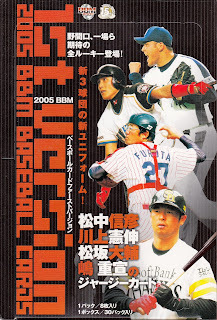 BBM also issued three more box sets in the "Greatest Games" series that they started in 2012 - the games featured the Giants/Tigers game on 10/22/73, the Buffaloes/Blue Wave game from 9/26/2001, and the Tigers/Swallows game from 10/16/1985. The remaining five sets BBM did are a group of odds and ends. They did a box set for rookies and young players called "Icons - Hope" that may be the replacement for the "Diamond Age" box set BBM did in 2011 and 2012. They also did a set called "Our Friends" which features all the mascots for all 12 teams. Both of these sets may become annual issues. 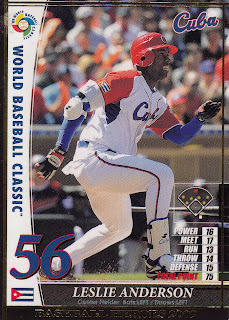 One set that I'm hoping becomes an annual issue was the Classic set which featured current players on cards using the 1991 BBM design, kind of BBM's version of Topps' Heritage sets. 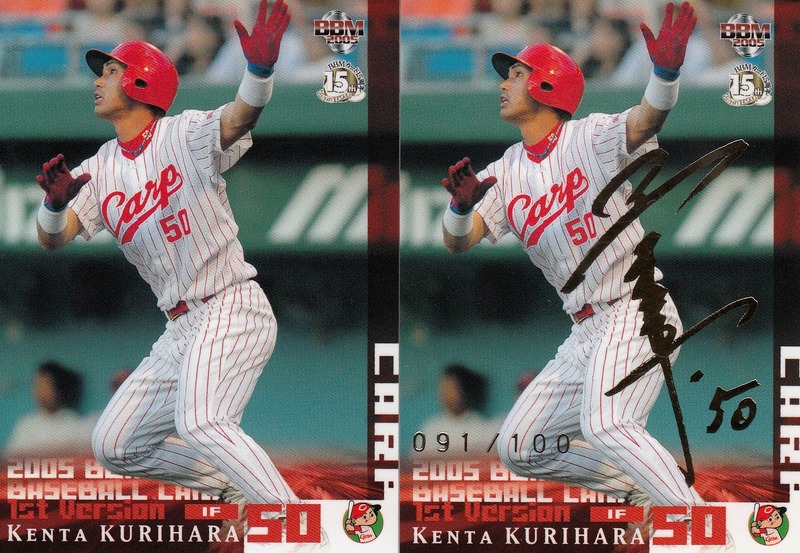 The final two sets BBM issued this past year were sets that celebrated players from Kyushu and the Osaka area. Memorabilia Cards: Jersey cards for the 2004 League MVPs - Nobuhiko Matsunaka and Kenshin Kawakami, as well as Daisuke Matsuzaka (PL ERA leader) and Shigenobu Shima (CL Batting Leader). 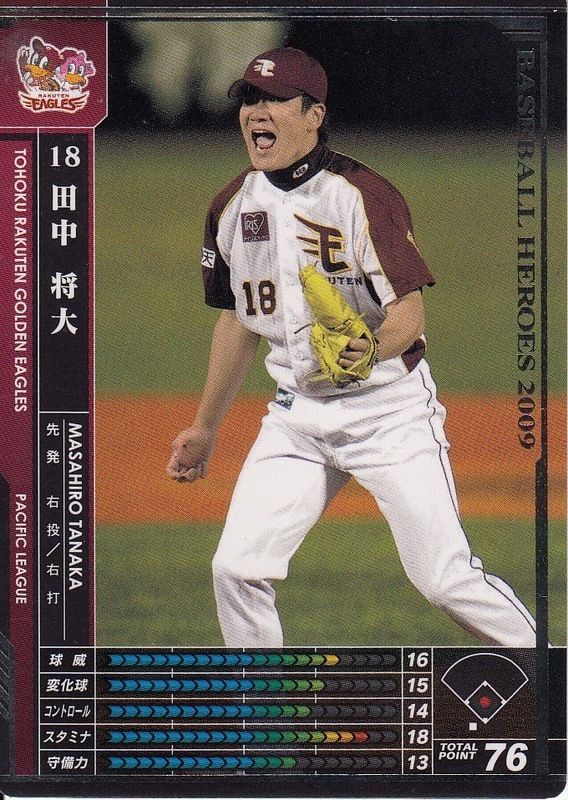 Also combo cards featuring Matsuzaka and Shima and Matsuzaka and Kawakami. Parallels: 108 cards have silver facsimile autographs. 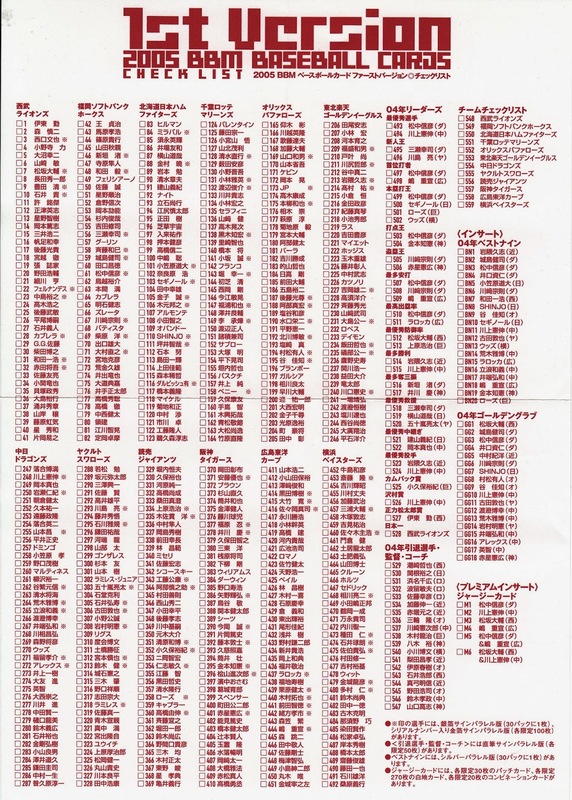 There is also a gold facsimile autographed version of those 108 cards that is serially numbered to 100. Autographed Versions of Retirement Players and Legend Players subsets (numbered to 50). Silver Parallel version of the Best 9 inserts. 60 cards have a kira version (Light packs only). For 2005, BBM reversed direction a little bit. After three years of producing two "flagship" sets a year that were roughly the same size, BBM went back to producing a large (500+ cards) "flagship" set for 1st Version along with a smaller (less than 200 card) 2nd Version set. The 2005 1st Version set was roughly the size of the pre-2002 regular BBM sets (less the "Late Version" cards). 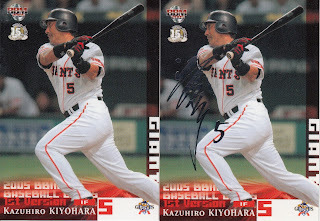 There were two different flavors of parallel facsimile autographs in this set - silver and gold. The gold were serially numbered to 100. I think that each of the 108 cards (9 per each team) that have a silver signature parallel also have the gold. 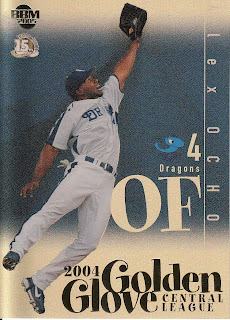 The set included the standard two insert sets - the Best 9 and the Golden Glove Award winners from 2004. 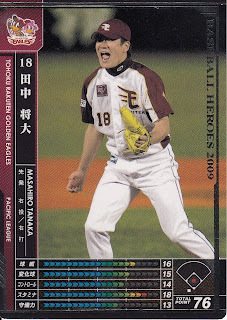 The Best 9 set was actually 20 cards this year instead of the standard 19 as Masahiro Araki and Greg Larocca shared the Central League's 2nd baseman award. The Best 9 inserts also featured a parallel version - Engel lists this as a "silver" parallel but I'm not sure that's accurate. The parallel issue appears to be a more "glossy" finish on the card rather than any sort of silver. 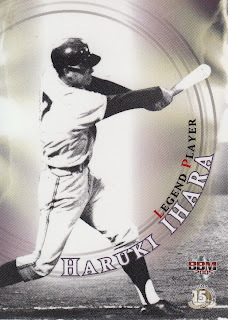 Once again, BBM issued cards in four card packs called "Light Packs" that had their own parallels (the now familiar "kira" cards) and their own inserts - the MVP inserts. The Light Packs did not contain any memorabilia cards, signature parallels, Best 9 or Golden Glove inserts. I'm not sure if all the base cards in the set were available in the Light Packs or not. 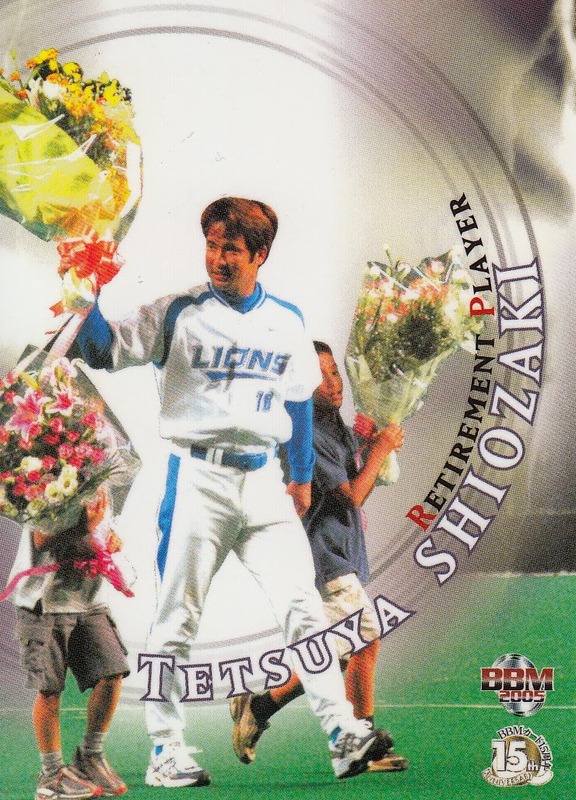 The set only contained two subsets - "Retirement Players" and "Legend Players". 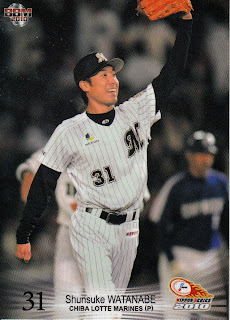 The "Retirement Players" featured 12 players who had retired after the 2004 season - Motoyuki Akahori, Chihiro Hamana, Toshio Haru, Shinichi Katoh, Kenjiro Kawasaki, Ryuji Kimura, Takashi Miwa, Hirofumi Ogawa, Yukihiko Satoh, Hiroyuki Sekine, Tetsuya Shiozaki, and Hiroshi Yagi. The "Legend Players" commemorated managers and coaches who left their jobs after the 2004 season (and didn't have a new one for 2005). 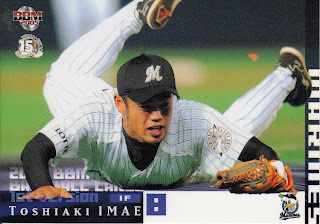 This included Haruki Ihara and Masataka Nashida, the managers of the Orix Blue Wave and Osaka Kintetsu Buffaloes, the teams that merged to become the Orix Buffaloes in the offseason. 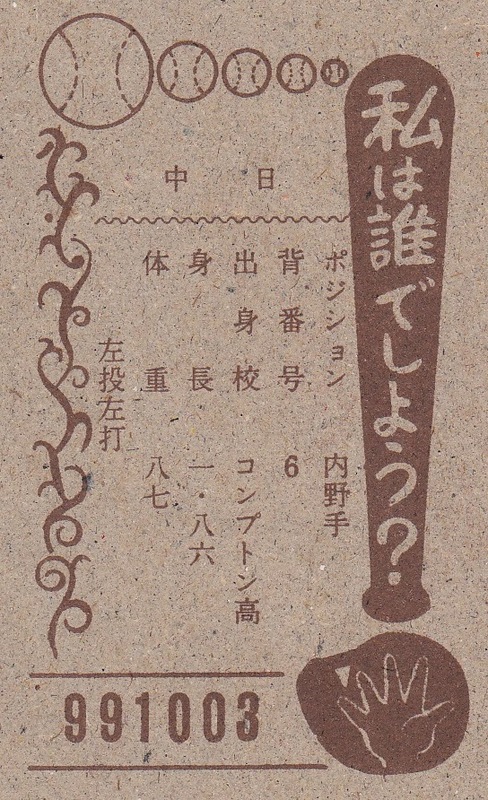 The five others included were Hiroo Ishii, Akinobu Mayumi, Koji Noda, Takamasa Suzuki and Takashi Yamaguchi. The seven are depicted from their playing days rather than their time coaching or managing. The design of the two subsets are the same except for the "Retirement Player" or "Legend Player" text. I noticed something odd when looking up the list of the notable rookies in the set - Michael Nakamura is considered a rookie despite having made 31 appearances in MLB between 2003 and 2004. Nakamura was born in Japan and went to high school in Australia (he is a citizen of both countries). He signed as an amateur free agent with Minnesota in 1997, made his debut in 2003, went to the Blue Jays in a waiver deal for 2004 and was "granted free agency" (which I suspect is a euphemistic way to say he was released) after the 2004 season. 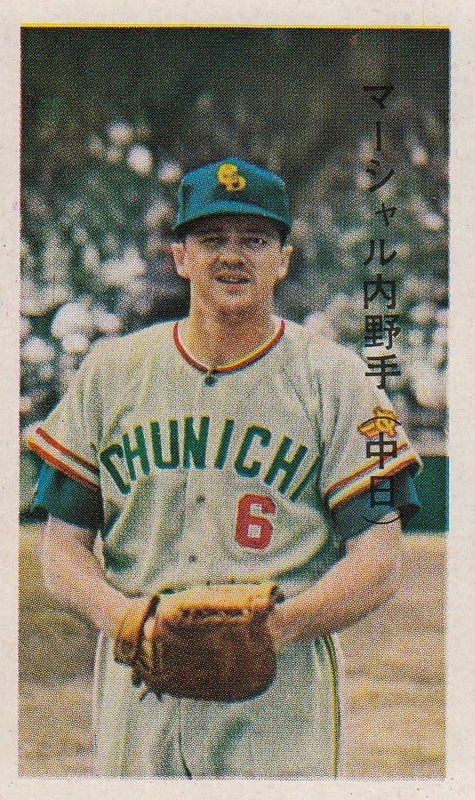 Since he was a Japanese citizen, he apparently was not allowed to negotiate with every NPB team. Instead he was forced to enter the draft and was taken in the fourth round by the Fighters. He does not, however, appear in the 2005 BBM Rookie Edition set. This is the exact opposite of how BBM treated Mac Suzuki, who entered NPB in 2003 after playing in the US for 11 years. 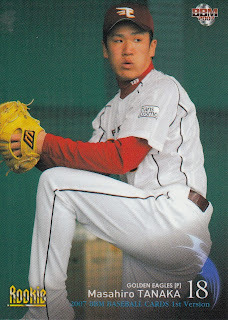 Suzuki was taken by Orix in the 2003 draft and appeared in that year's Rookie Edition set but his card in the 2003 1st Version set was not labelled "Rookie". 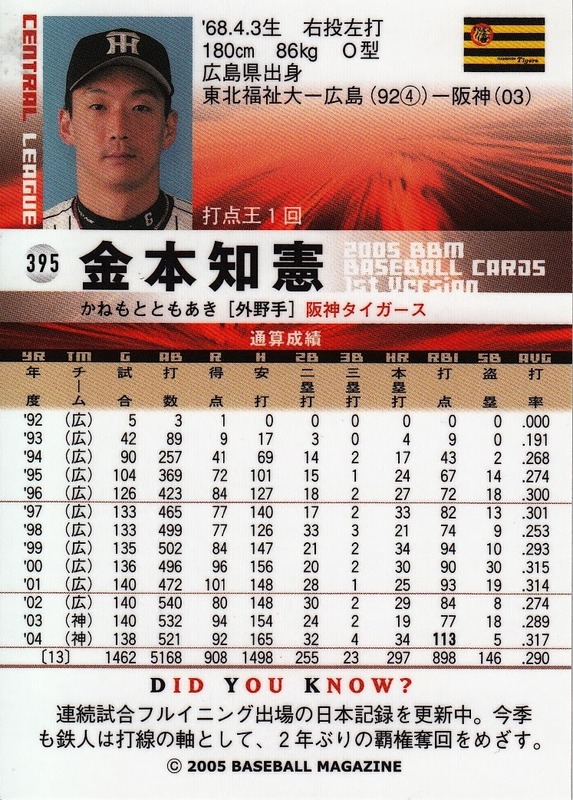 In addition, the back of Suzuki's card included his stats from the US. Nakamura's does not. 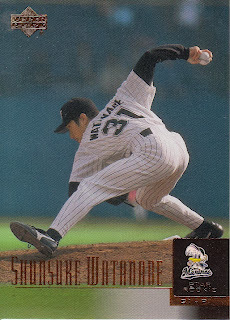 BBM treated GG Satoh (who had signed with the Phillies out of high school in Japan) in a similar fashion to Nakamura in 2004 - he did not appear in the 2004 Rookie Edition set but he was labelled a "Rookie" in the 2004 1st Version set. 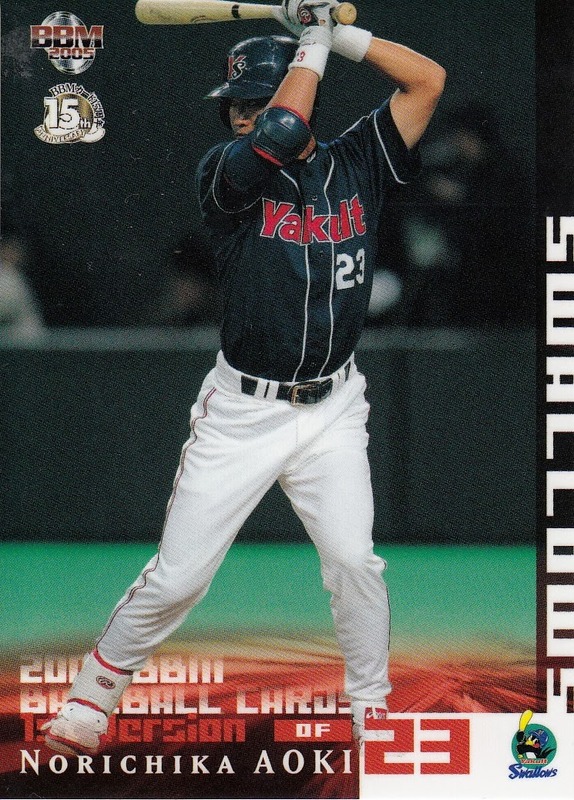 In 2008, BBM would include Kazuhito Tadano (who had signed with the Cleveland Indians out of high school) in the Rookie Edition set as well as labeling him a "Rookie" in the 1st Version set. Like Nakamura, neither Satoh's nor Tadano's "Rookie" cards included his stats from North America. The Yomiuri Giants have signed former Tampa Bay Ray farmhand Leslie Anderson to a one year deal for the 2014 season. Anderson is from Cuba originally and defected in 2009. 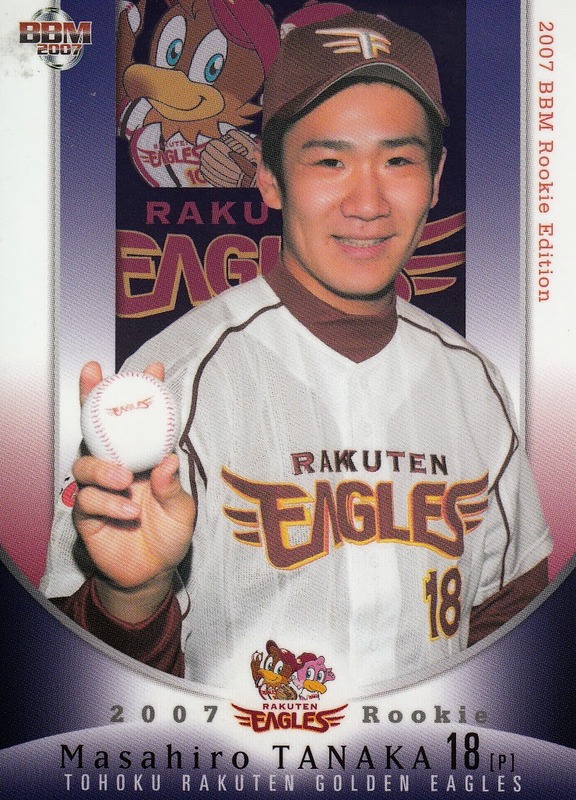 Tanaka was drafted by the Eagles in the first round of the 2007 draft (held in the fall of 2006 of course) after a stellar high school career at Komadai. 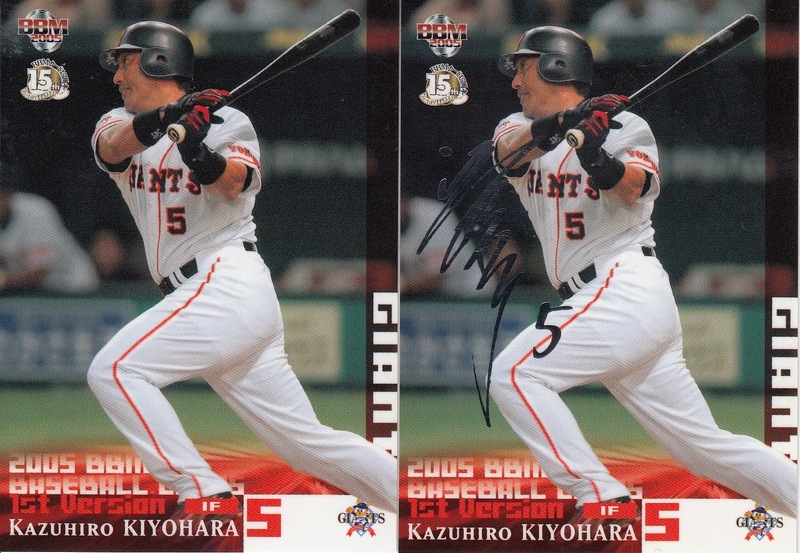 His first BBM cards are in the Rookie Edition (#40) and 1st Version (#211) sets in 2007. 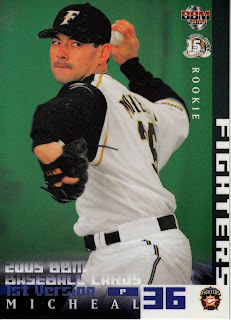 (I'm not sure which should be considered his BBM "rookie card" - both sets were pack based, nationally available sets. Rookie Edition came out in February, 1st Version came out in April.) His first Calbee card was also in 2007 (#158). Tanaka has been in every 1st and 2nd Version set since 2007. He's been in every Calbee set since then also although he did not have a "regular" card in the 2012 set - just appearing in the "Title Holder" and "Opening Day Pitcher" subsets. 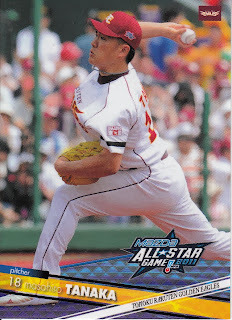 He made the All Star team every year he's pitched in Japan except 2010 and so appears in each BBM All Star set from 2007 to 2012 except 2010. (Since he was elected as a starter for the 2013 All Stars, he appears in the 2013 Calbee All Star subset.) 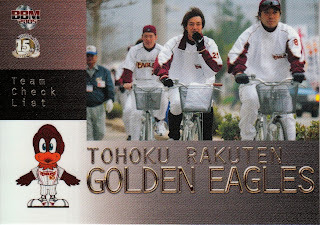 The Eagles made the Nippon Series just once ever and unfortunately it was the year (this year) that BBM decided to stop doing the annual Nippon Series set. So there is no Nippon Series card for Tanaka. In addition to his appearances in various sets, there have been three sets that are completely about him - BBM did a "biographical set" for him in 2010, Sports Graphic Number did a set devoted to him in 2012 and BBM put out a set about a month ago to commemorate his undefeated season. Last week the World Champion Boston Red Sox (sorry, I just like the way that sounds :-)) signed former Chiba Lotte Marine pitcher Shunsuke Watanabe. 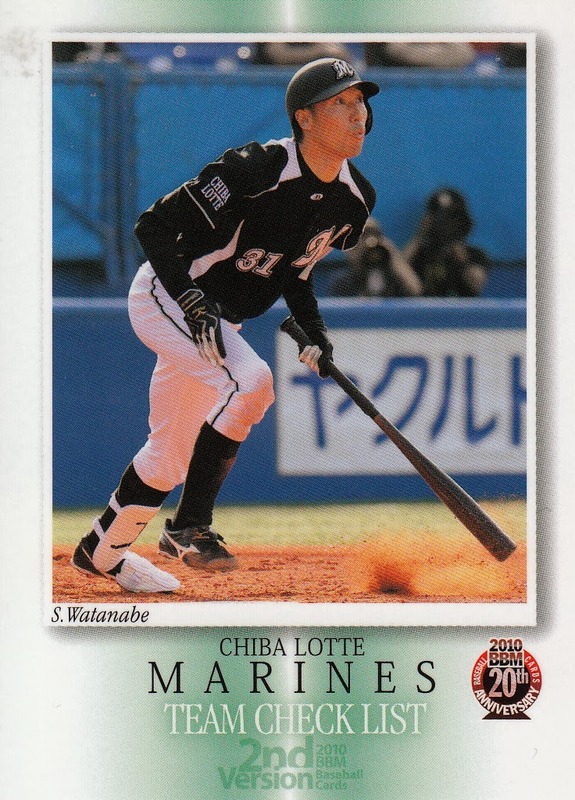 Watanabe was drafted by the Marines in the fourth round of the 2001 draft (which I will point out wearily again was held in the fall of 2000) from the industrial league team Shin Nittetsu Kimitsu and has been with the Marines ever since. 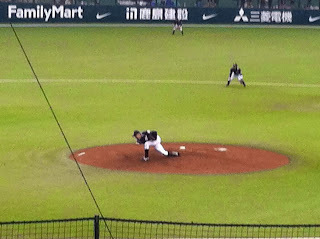 Watanabe is a submariner who's release point is two inches off the ground (according to Japan Baseball Daily). You can see a couple videos of his motion here. 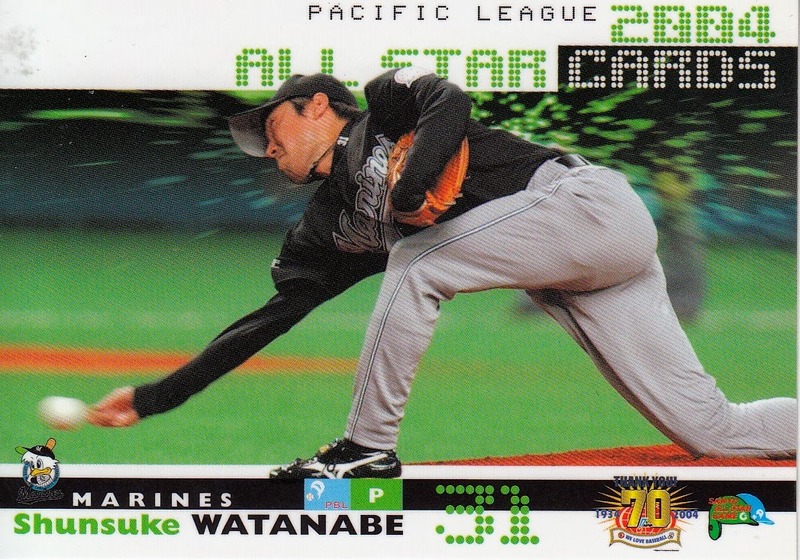 Watanabe is rather unique in that I think he's the first Japanese player to come to the US who actually has a "pre-rookie" card in Japan. 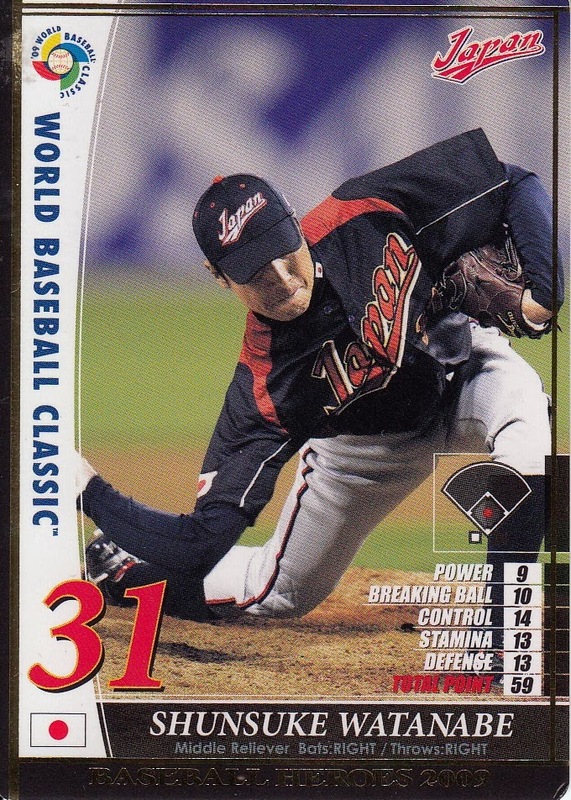 He was chosen for the Japanese National Team for the 2000 Olympics while still a member of Shin Nettetsu Kimitsu and ended up having a card in the 2000 Upper Deck Japanese Olympic Team set (which I don't have yet). His BBM rookie card is #488 in the 2001 set. 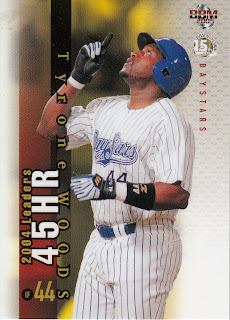 He also has a "Star Rookie" card in the 2001 Upper Deck set (#24). He also appears in a couple other 2001 sets - the Konami Field Of 9 collectible card game set and the Future Bee Marines set (which includes an autograph card). 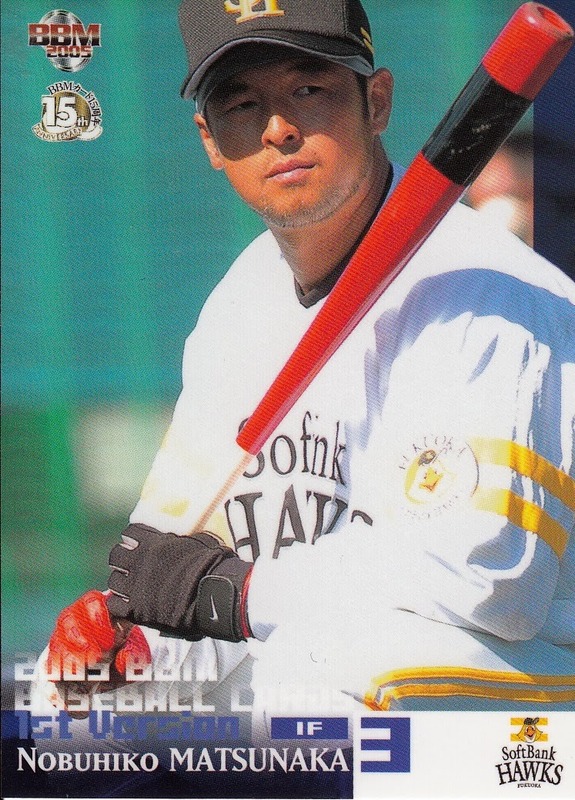 His first Calbee card was not until 2005 (#022). Watanabe has appeared in each "flagship" BBM set since 2001 with the exceptions of the 2002 1st Version and 2013 2nd Version sets. 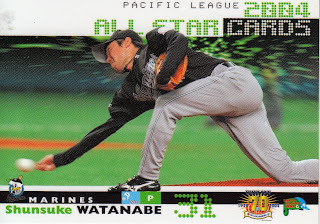 He's a bit less regular in the Calbee sets - after his first card in 2005 he didn't appear again until 2007. He had a Calbee card each year after that until this year. He made the All Star team twice so he appears in two of the BBM All Star sets - 2004 and 2005. 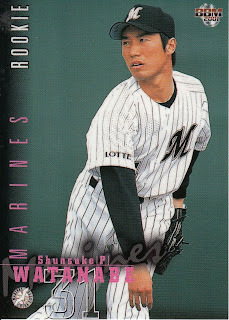 The Marines won the Nippon Series twice while Watanabe pitched for them so he appears in two of the BBM Nippon Series sets - 2005 and 2010. 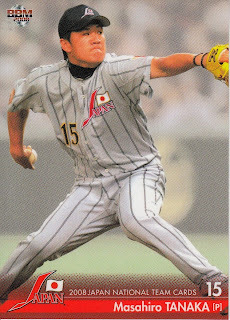 He threw a complete game, four hit shutout against the Tigers in the 2005 Series which earned him an "Outstanding Player" award so he actually has two cards in that Nippon Series set. 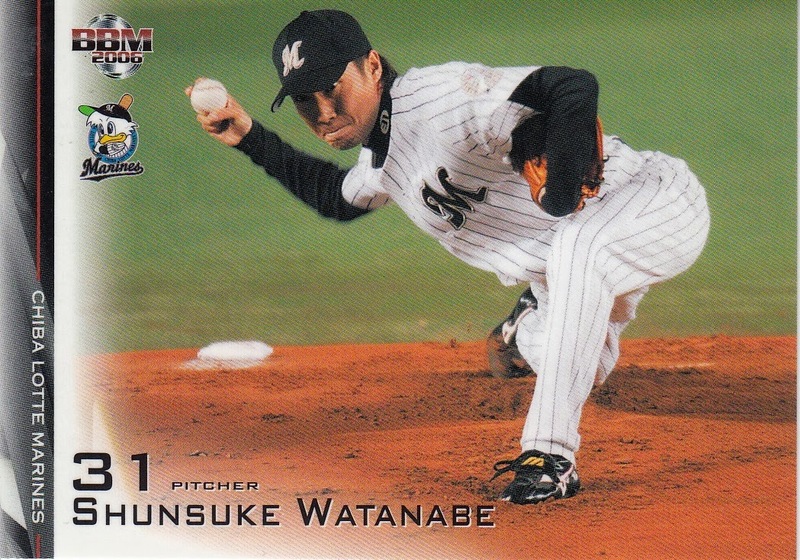 In addition to playing for Team Japan in the 2000 Olympics, Watanabe also pitched in the 2006 and 2009 World Baseball Classics. 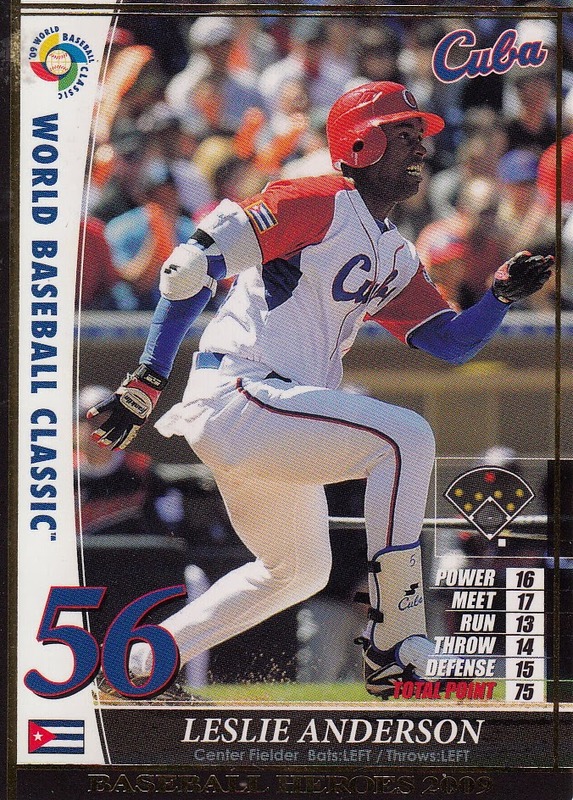 He had four different "regular" cards among Upper Deck's 2006 WBC issues and two among Topps' 2009 WBC cards, along with numerous parallel and memorabilia cards both years. He also appeared in the 2009 Konami WBC set. The defending Nippon Series Champion Tohoku Rakuten Golden Eagles will lose at least one important team member to MLB this off season - third baseman Casey McGehee has signed a contract with the Miami Marlins for 2014. 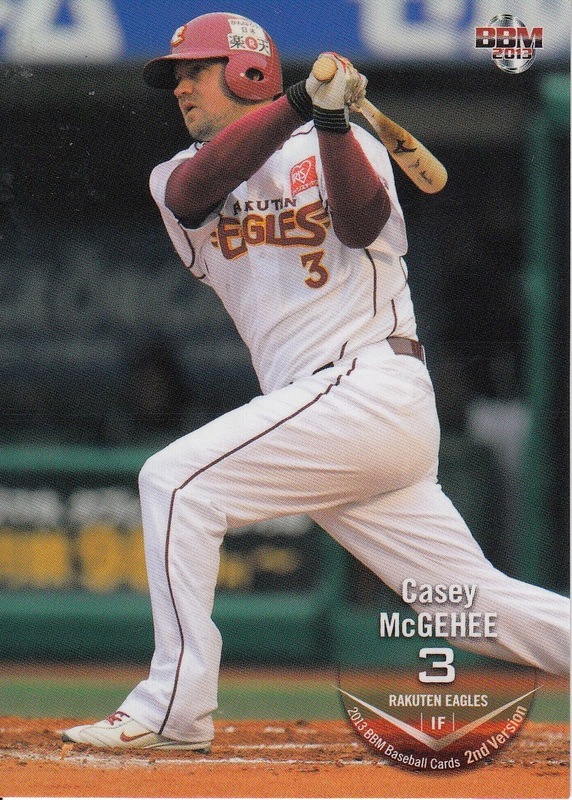 McGehee hit 28 home runs for the Eagles in 2013, his only season in Japan. As a Red Sox fan, I'm excited to see that the Eagles will be replacing McGehee with Kevin Youkilis, although I don't expect Youk to be anywhere near as successful as McGehee was. 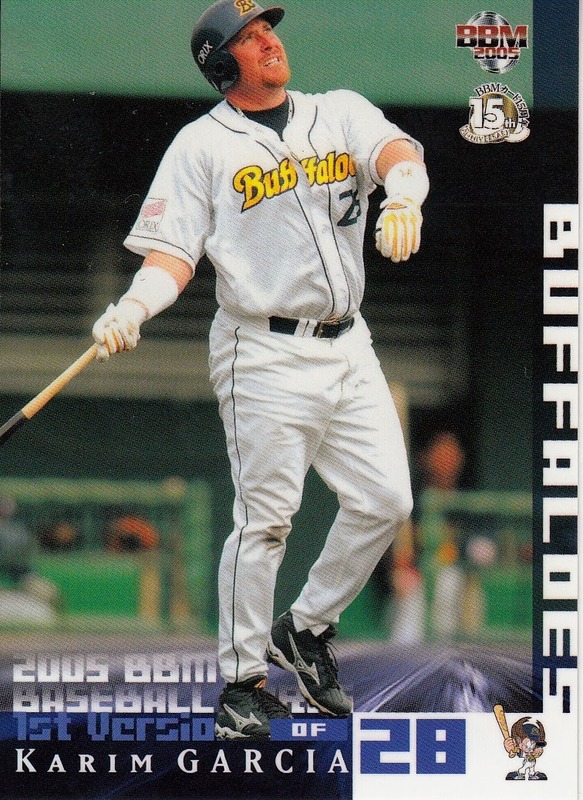 Plus I will miss the sound of the PA announcer in Sendai calling out McGehee's name - I don't think it will be as entertaining to hear "Youkilis" announced. BBM announced three new sets this past week - the 2014 editions of a couple perennial sets and a somewhat expected new Anniversary set. - In late January, BBM will publish their annual box set commemorating players who retired during the previous season. 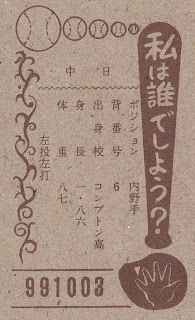 I'm never exactly sure how to translate the name - I call it the "Farewell" set but it could be "Farewell Heroes" or something along the lines of that (Google Translate calls it "Regret At Parting Ball Person" which really isn't helpful). The set will contain 30 cards - 29 "regular" cards and 1 "special" card - either an insert card with a facsimile autograph or a memorabilia card with a real autograph. 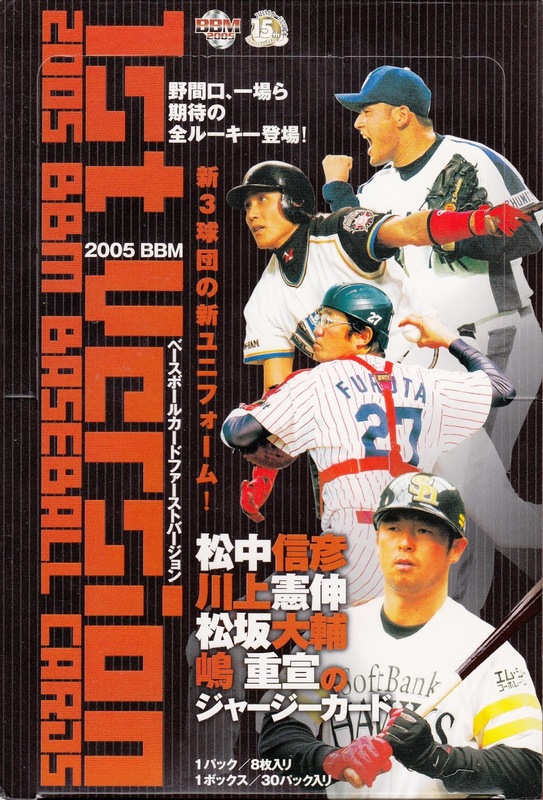 The webpage specifically mentions Shinya Miyamoto, Takeshi Yamazaki, Shinjiro Hiyama and Shigenobu Shima but I would be surprised if Tomonori Maeda was not included (especially since BBM did a box set commemorating his career). - BBM's annual set for other end of the career spectrum, the Rookie Edition set, will be released in the middle of February. As usual, it will contain cards for all the players drafted (and signed) in last October's draft. The set is a pack based set that contains 102 base set cards (89 draft picks, 1 checklist and 12 "Then And Now" cards), two insert sets (24 card "Next Generation" and 2 card "Rookie Of The Year" sets) and (I think) possible autograph cards. The cards themselves look very similar to the sets from the last few years and show the player wearing the jersey for the team that drafted him. The pictures were probably taken at the press conferences that formally introduced the draft class. I still think it would be a lot more interesting to show the players playing for their high school, college or industrial league teams. - I mentioned a month or so ago that I expected that BBM would do a 10th Anniversary set for the Eagles in 2014. What I didn't expect was how early in 2014 they'd be publishing the set - it will arrive in late January. 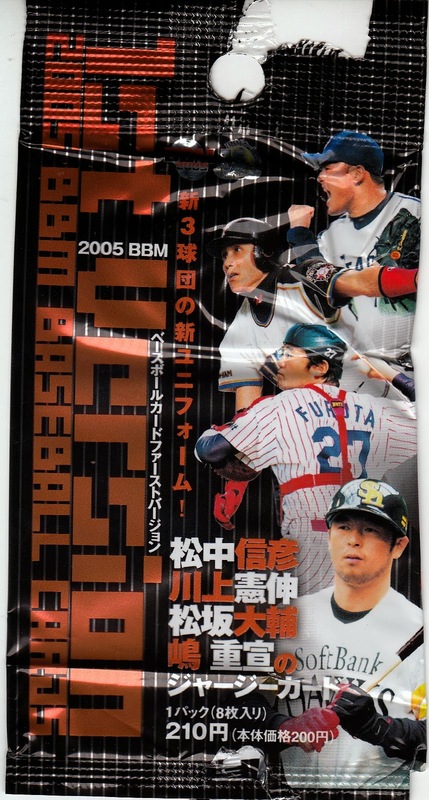 It's a pack based set containing 90 cards in the base set - 74 players, three mascots, four managers (Yasushi Tao, Katsuya Nomura, Marty Brown and Senichi Hoshino) and a 9 card 2013 Best 9 subset. There will also be a nine card "Team History" insert set and possible autograph cards. 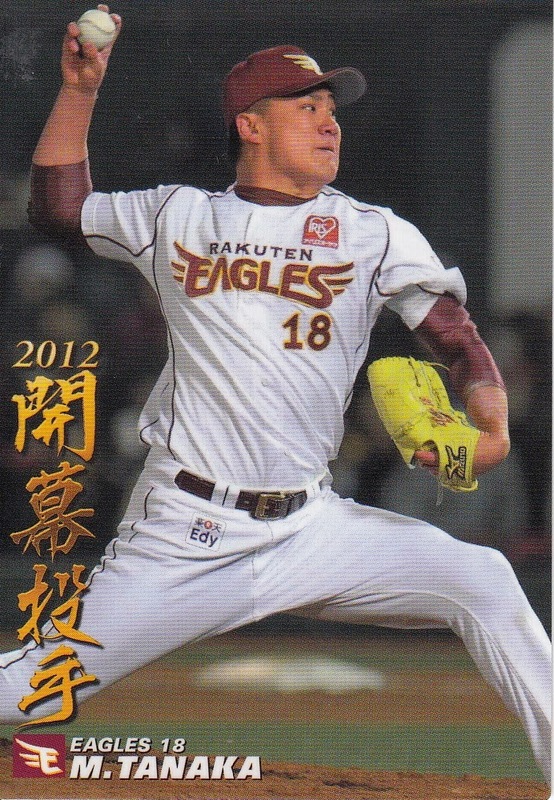 If I had to guess, I'd wager that there are at least two Masahiro Tanaka cards in the base set and at least one in the insert set. Don't know whether there's an autograph card or not. - I haven't seen it on their website yet, but the OB Club has their latest set scheduled to be released on January 18. This is a 31 card box set entitled "Shigeo Nagashima Memorial Treasures" and is apparently a set dedicated completely to Nagashima. The 31 cards included the 30 base set cards and 1 "special" card - there is a dizzying array of autograph, die-cut, foil parallel and other fancy cards possible. 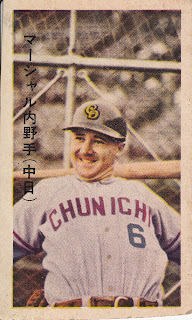 The majority of the menko cards that I've seen feature posed pictures of players. 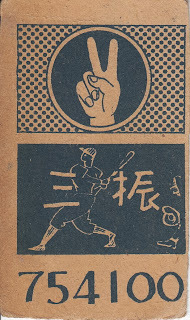 There are only a few that I've seen that feature actual game action, mostly from a couple of the late 1950's Doyusha sets. But I picked up three cards a few weeks ago featuring game action in a way I had never seen before on a menko card - black and white photos of multiple players during a game. I really don't know much about these cards. Let me show them off before I talk too much about what I'm guessing about them. 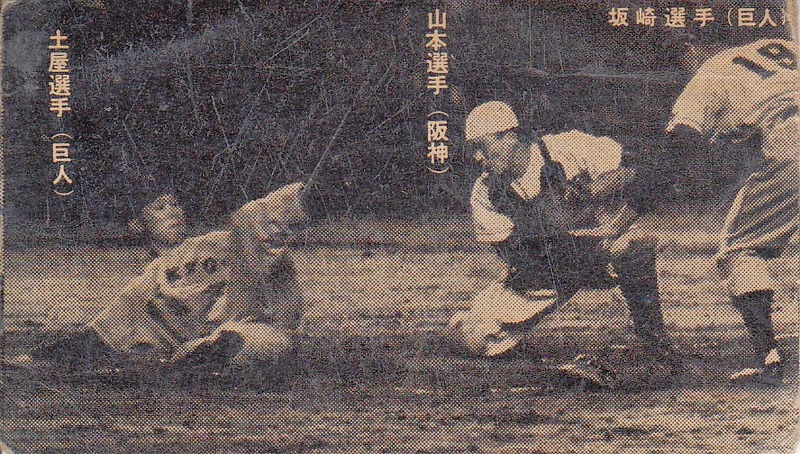 This card shows a play at the plate where it looks like Giants catcher Shigeru Fujio is tagging out Tigers baserunner Hidesho Miyake. Koji Yokoyama (#21) of the Tigers is perhaps a tad too optimistic in his "safe" call given that Fujio has his glove on Miyake who is nowhere near the plate. We can only assume that Fujio is actually holding the ball. 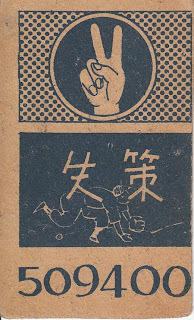 This card shows Tokuji Iida of the Swallows sliding into a base (I'm assuming third) while Miyake waits for the throw. I don't see the ball in the shot so I'm going to guess that Iida was safe. This last card is kind of the inverse of the first in that it has a Tigers catcher and a couple of Giants players. The catcher is Tetsuya Yamamoto, the Giant sliding is Masataka Tsuchiya and the standing player (#19) is Kazuhiko Sakazaki. 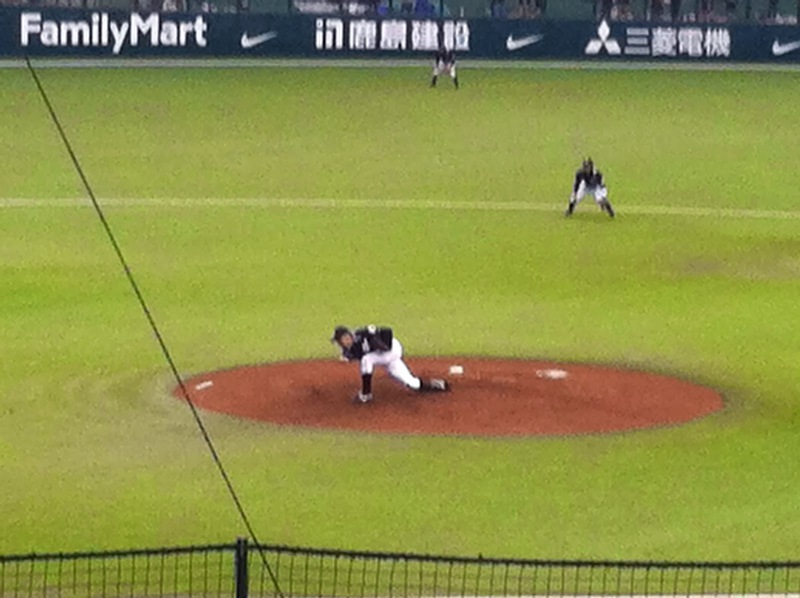 Not really sure where the plate or the ball is so I have no idea if Tsuchiya's going to score or not. The cards appear to be uncatalogued. The backs appear kind of similar to some of the Marusan issues from the late 1950's as well as a couple sets listed in Engle as JCM 131a-c, JCM 132 and JCM 133. 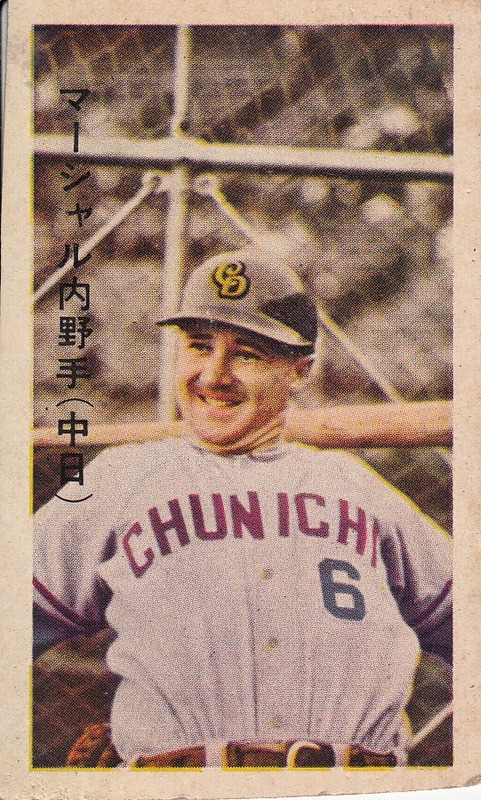 I'm guessing that the year the pictures were taken in (assuming they were taken in the same year) is 1957 as (1) Iida's first season with the Swallows was 1957 and (2) according to "The History Of Uniform", the Tigers home hats were white up until 1957 and black afterwards...and Yamamoto's hat is white on the third card. 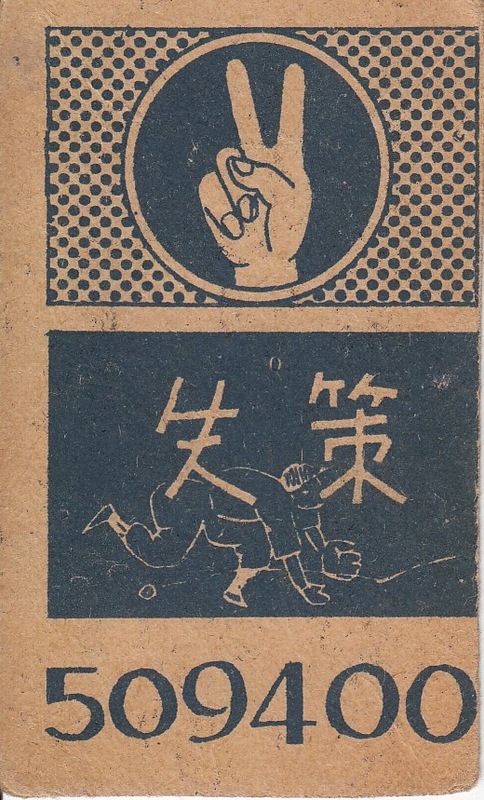 I'd appreciate any information anyone has on these cards. 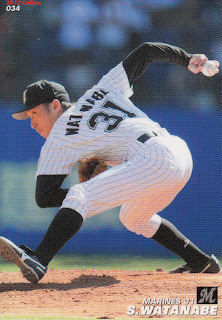 Cards I've seen but I don't know their numbers - Ryota Sekiya, Ryutero Umeno, Hiromi Oka, Shogo Nakamura and Masataka Yoshida. Assuming that the team being represented is last summer's Collegiate National Team, there should be 24 cards in all. Some of the players were drafted last October - once I get a complete list, I'll do a post on who from the team has been drafted. The cards are autograph cards that are serial numbered to 25 so they're a tad on the rare side. I don't think there's any other version of the cards - I haven't seen any on Ebay but I can't be sure without useful information from Panini. Deanna included information and pictures of him in her pre-draft post this fall. 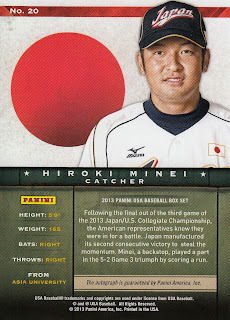 I think Panini went to a little more effort than Upper Deck did when they did their Japanese Collegiate National Team cards back in 2008. Upper Deck didn't bother with any write up or biographical information. But trying to put a set of these together would be tough and expensive. If Hajime Matsuda, team owner, is worried about a player, he usually makes him the wallpaper for his mobile phone. His current wallpaper is Takeru Imamura. It was Kan Otake before that. Some players make it a point not to become the owner's mobile phone wallpaper. 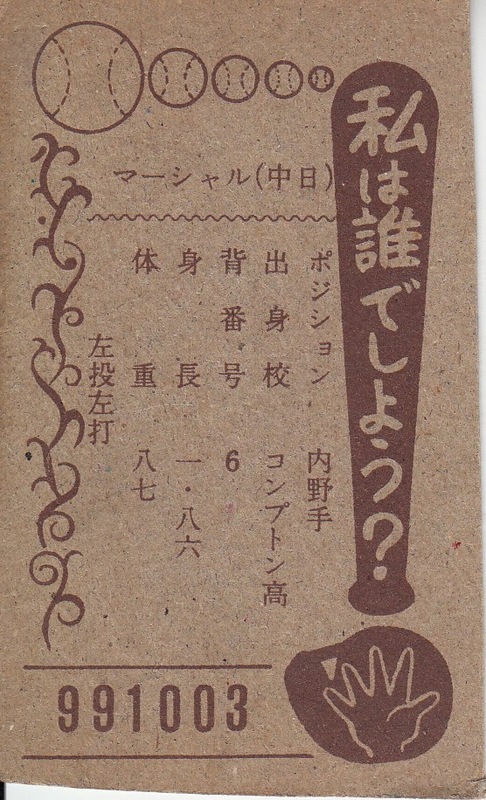 Source: Nikkan Sports 12/10/2013 via Yakyu Baka. I was thinking about trios of dominant managers the other day with Bobby Cox, Tony LaRussa and Joe Torre having been elected to the Hall of Fame last week. There was a trio of managers in Japan that pretty much dominated the 1950's - Kazuto Tsuruoka (aka Kazuto Yamamoto), Osamu Mihara and Shigeru Mizuhara. 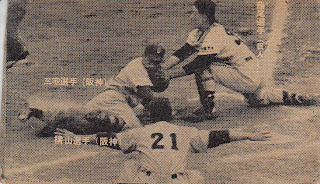 The three of them won 9 of the 10 Nippon Series played between 1951 and 1960 - Mizuhara's Giants winning in 1951-53 and 1955, Mihara winning with the Lions in 1956-58 and the Whales in 1960 and Tsuruoka winning with the Hawks in 1959. 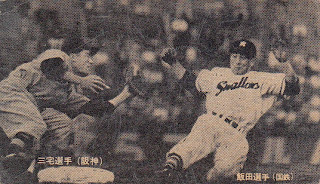 Incredibly, these three also accounted for 18 of the 20 pennants during this time period - Tsuruoka and the Hawks lost to the Giants in the Series in 1951-53 and 1955, Mihara lost the Series in 1954 (to the Dragons managed by Shunichi Amachi, the only Series won by someone other than these three) and Mizuhara and the Giants lost four straight Series from 1956-59 - the first three to the Lions and the last to the Hawks. Amachi and Yukio Nishimoto (1960 Daimai Orions) were the only other manager to win pennants during this time. Mizuhara and Tsuruoka would continue their successes into the 1960's. 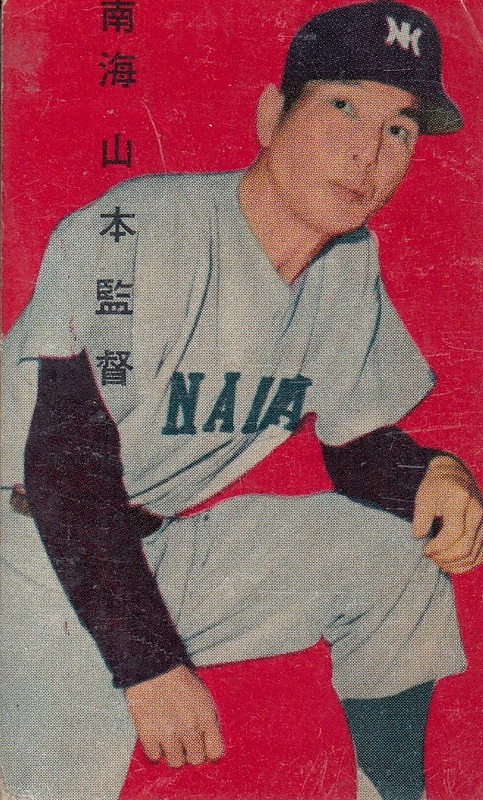 Tsuruoka lead the Hawks to another championship in 1964 over the Tigers and a couple Nippon Series losses to the Giants (now lead by Tetsuharu Kawakami) in 1961, 1965 and 1966 (the first two V9 years). 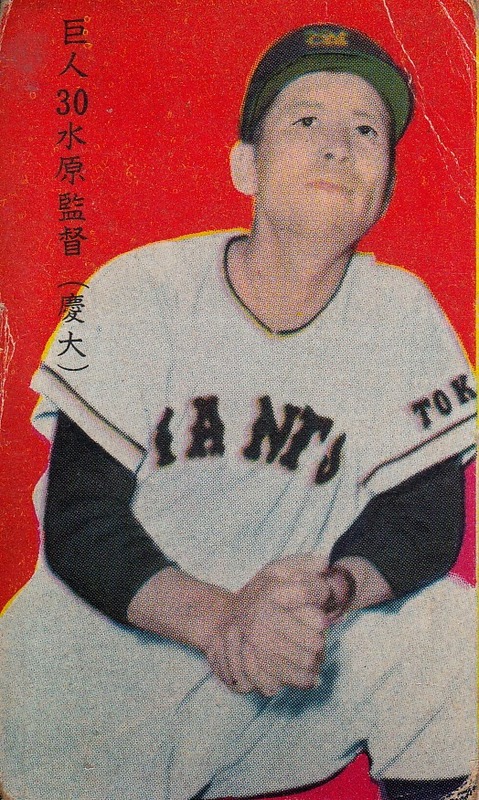 Mizuhara would win a championship with the Toei Flyers over the Tigers in 1962. 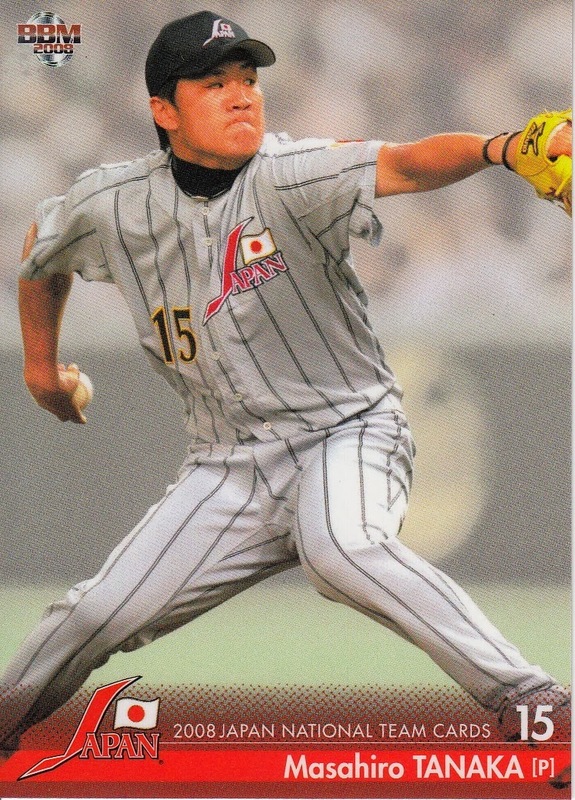 Mihara would never win another pennant or championship. 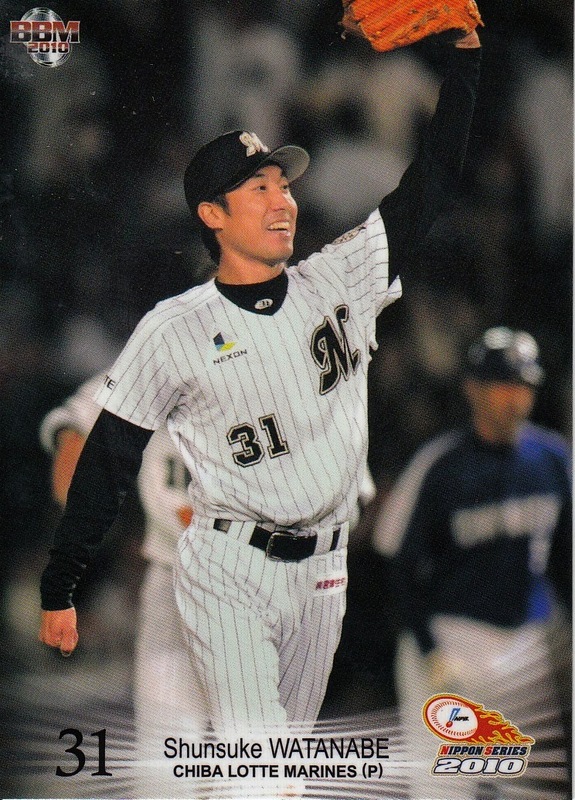 Tsuruoka and Mihara are the top two in managerial wins in Japanese history - Tsuruoka has 1773 wins, Mihara has 1687.. Mizuhara is number four on the list with 1585. Just to compare, during the same period of time in MLB, there were five managers who won the World Series - Casey Stengel won 5 with the Yankees (1951-53,56 and 58), Walt Alston won two with the Dodgers (1955,59), Leo Durocher won in 1954 with the Giants, Fred Haney won with the Braves in 1957 and Danny Murtaugh with the Pirates in 1960. The 20 pennants were split between 7 managers - Stengel won 8 with the Yankees (1951-53,55-58,60), Alston won three with the Dodgers (1955-56,59), Chuck Dressen had two with the Dodgers (1952-53), Durocher had two with the Giants (1951,54), Haney had two with the Braves (1957-58), Al Lopez had one with the Indians in 1954 and one with the White Sox in 1959 and Murtaugh had the one in 1960. Alston and Murtaugh would go on to win a couple more - Alston in 1963 and 65 and Murtaugh in 1971. I noticed something kind of interesting today - a number of players have the same menko number in two of the Marukami JCM14 sets - specifically the JCM14f set (from 1963) and the JCM14g set (from 1964). 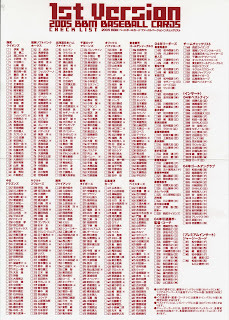 (A "menko number" is a 5-7 digit number that appeared on the back of many varieties of menko cards. Whether or not they uniquely identify a card varies by set. In the case of these Marukami cards, while multiple cards might share a number, the same card front always has the same number on the back.) So this makes it a little more challenging to determine which set the card comes from. 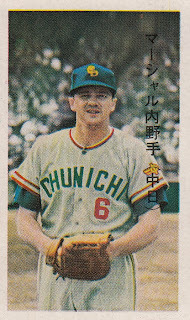 Consider these two cards of former major leaguer Jim Marshall, who spent three years with the Dragons from 1963-65 (and would later manage the Cubs in the mid-70's and the A's in 1979). 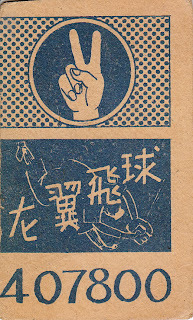 Both cards have a menko number of "991003". 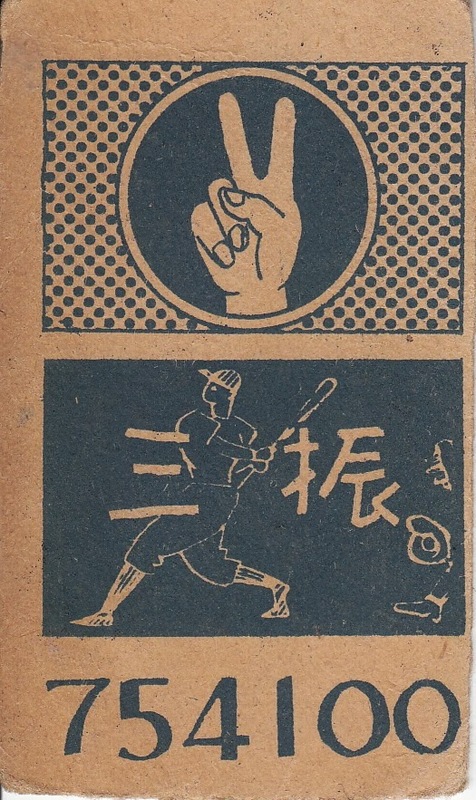 Both cards use brown ink on the back. Both cards have the player's surname written vertically on the front followed by position and then the team name in parenthesis (which would differentiate them from the 1962 JCM14e set which doesn't have the position and a couple of the earlier sets which had team name first followed by surname). There are no stats on the back. So how do you know which set it's from? On the backs on the card, there's a line of horizontal text towards the top of the card (above the horizontal line). 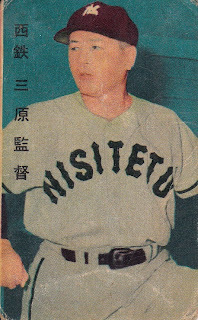 On the 1963 JCM 14f cards, this text contains the player's name and team name (in parenthesis). 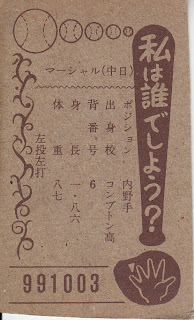 On the 1964 JCM 14g cards, this text is only the team name. Gary Engel's "Japanese Baseball Card Checklist and Price Guide" lists this as the "primary difference" between these two sets. So Card #1 is from 1963 and Card #2 is from 1964. I had never noticed this before today - I just got Card #1 in the mail as a bonus extra item in an eBay purchase and was trying to figure out which set it came from. 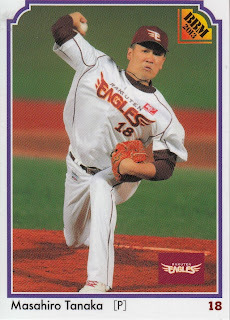 And I've now discovered that I have a Kazuhisa Inao card that I thought was from JCM 14f but it's really from JCM 14g.